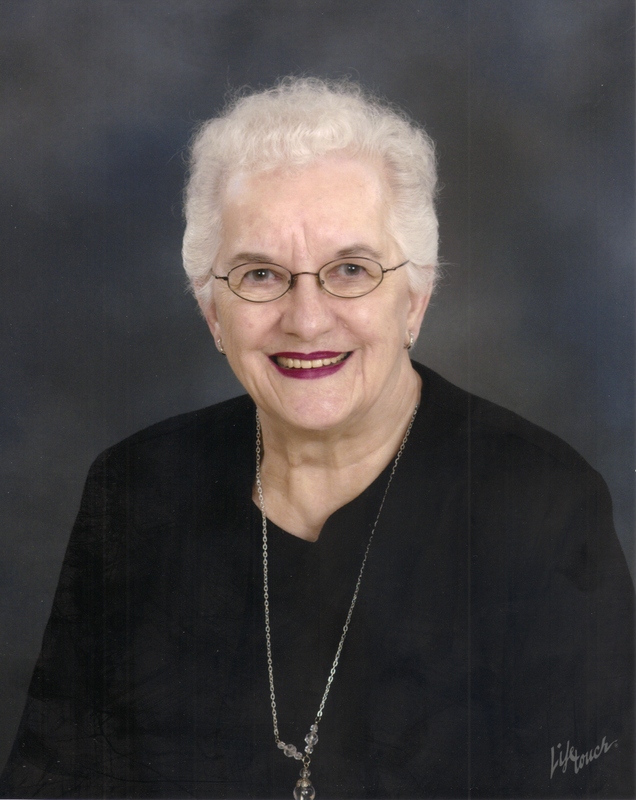 LaVonne Schmitz Long, age 83, died on August 22, 2012 at Dougherty Hospice House of complications resulting from an automobile accident. LaVonne Estelle Surdez was the oldest child born October 19, 1928, to Floyd â€œTedâ€� Surdez and Doris (Sisson) Surdez at Wildwood Dairy Farm north of Sioux Falls. She attended elementary school in rural Sioux Falls and in 1947 graduated from Washington High School. She was always proud that she played French Horn in high school band. After graduation, LaVonne attended Nettelton Commercial College in Sioux Falls and was later employed as a secretary for the South Dakota Childrenâ€™s Home. LaVonne met Robert Schmitz at an Arkota Ballroom dance and they married on October 18, 1948 at St. Joseph Cathedral church. To that union were born seven children; Steve, Eileen (Dale) Bertsch, Lori (Jerry) Raab, Greg (Mary), Kevin, Mark (Kris) and Janet. Bob and LaVonne raised their family first on a farm near Renner, then in the St. Joseph Cathedral neighborhood with so many other large Catholic families, and, finally, in the St. Maryâ€™s parish near McKennan Park. LaVonne lost her husband of 41 years on December 16, 1989. On June 28, 1991, LaVonne married John Long. She was widowed a second time in December, 2003. LaVonne was a talented artist who completed 102 oil paintings through classes at the Sioux Falls Senior Citizens Center. She also enjoyed creating craft items and crocheted or knitted many masterpieces for her family. Her other interests included bowling, golf, bridge, lunch with friends and cousins and singing in the Prince of Peace Glee Club. Over many years of service to the Sioux Falls community and her church, LaVonne was active as a Boy Scout Den Leader, Brownie Scout and Girl Scout Leader, Catholic Daughters Regent, President of Cathedral Club and St. Maryâ€™s Altar Society, Catholic Womenâ€™s Literary president, secretary and treasurer, McKennan Auxiliary secretary, Prince of Peace Auxiliary president and Elmwood Ladies Golf treasurer. She volunteered at Prince of Peace, the Center for Active Generations and booked over 1,000 volunteer hours for Avera McKennan. A recognition that she was quite proud of was being named Catholic Daughters Mother of the Year in 1991. She was also the recipient of the Catholic Daughters Adella Pribyl Achievement Award in 1977. LaVonne was preceded in death by her parents, her husband, Bob, her second husband, John, and two brothers, Harlan Surdez and Floyd Surdez. She is survived by her seven children; two grandsons, Todd (Shantel) Bertsch, Adam (Megan) Bertsch; four granddaughters; Kimberly Schmitz, Rebecca (Reid) Schmitz McConnell, Laurel Schmitz and Heather Schmitz; great granddaughter, Elliot Bertsch, (Adam and Megan); great grandson, August, (Todd and Shantel); and a brother, Alan (Elaine) Surdez. She is also survived by her step-sons, Jack, Jim and Ron Long and her step-daughter, Susan (Tracy) Skrondahl and their son, Andrew; numerous cousins, nieces and nephews and many life-long friends. Visitation will be Sunday, 5 PM at Barnett-Lewis Funeral Home with a Scripture Vigil at 7 PM. Mass of Christian Burial will be Monday. 10:30 AM at Holy Spirit Catholic Church will burial to follow at St. Michael Cemetery.